In London’s Hyde Park, a monumental form floating on the Serpentine Lake is a feat of engineering and a spectacle many years in the making. 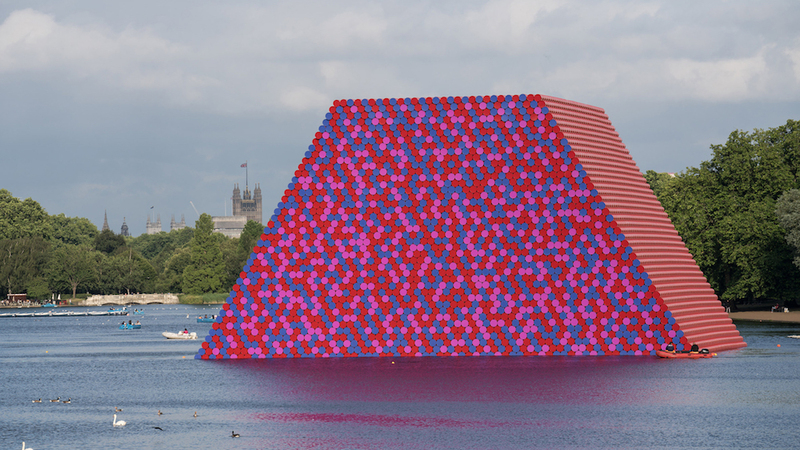 Titled The Mastaba (Project for London, Hyde Park, Serpentine Lake), it is a temporary installation by the conceptual and environmental artists Christo and Jeanne-Claude. This weekend, a large-scale project on Italy’s Lake Iseo connected two islands to each other and to the mainland. 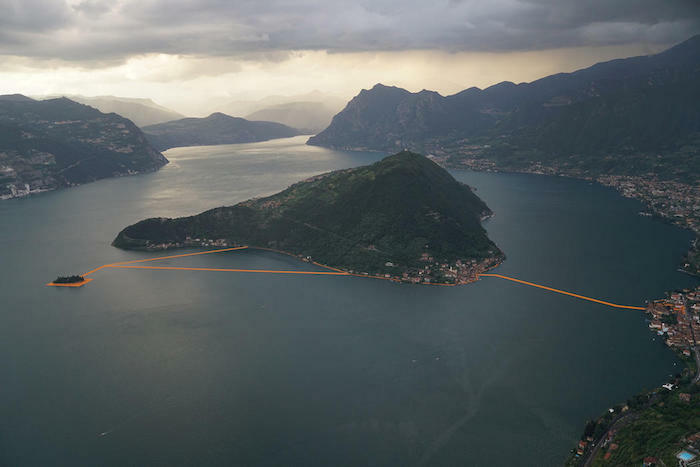 The project is not a bridge, tunnel, or other infrastructure, but a temporary art installation by the conceptual and environmental artist Christo.